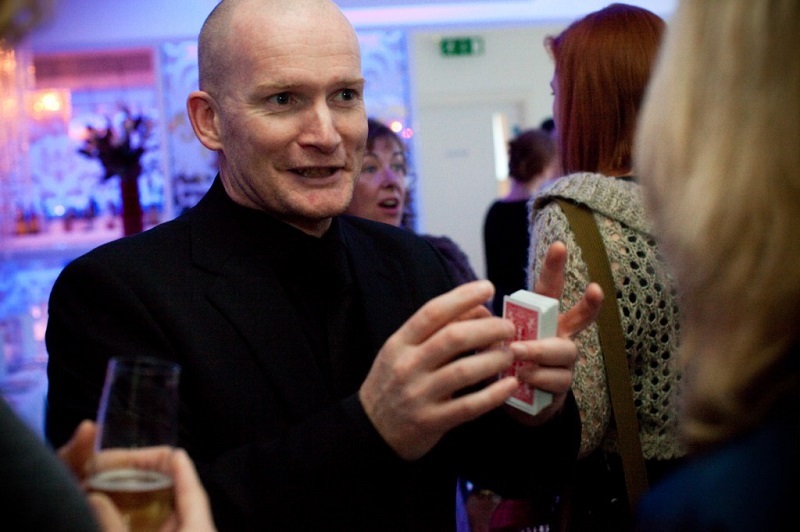 If your event requires an intelligent, funny, charming and modest performer who possesses a high level of skill in the field of sleight of hand magic, then please get in touch! His tricks are astounding! Peter is an experienced, multi-award winning magician and the founder and managing director of Brandmagic. In March 2009 Peter beat some of the worlds best magicians to become the Magic Circle Close-up Magician of the Year 2009. He is a previous winner of the International Magic Close-up Magician of the Year and is the recipient of the Carlton Award for Comedy. Peter was also chosen as the opening act at the Magic Circle’s 100th Birthday celebrations performing in front of 1000 magicians from around the world including many of the most famous names in the art. He has made several television appearances and received great reviews for his one-man show “Hustle”. His ability to entertain a modern audience relies on a combination of superb sleight of hand, a quick wit, and an understanding of what makes people tick. These are skills that Peter developed while working as a street magician in London’s Covent Garden, and at festivals around the world. Since focusing on the corporate marketplace his unique performing style has earned him bookings from many major corporate and private clients. Peter is also one of the countries leading trade show performers. Earlier this month Peter won the Magic Circle Stage Magician of the Year, making him the only magician in history to have won both Stage Magician and Close-up Magician of the Year titles. 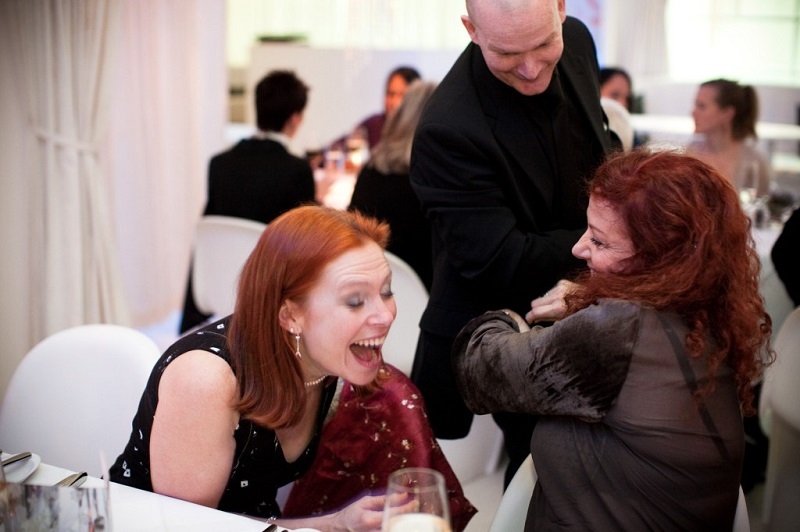 This is probably the most popular application of magic in the corporate hospitality market and the perfect “ice-breaker”. Peter will entertain your guests during your drinks reception or in between the courses of a meal. This allows your guests to enjoy some excellent sleight of hand magic right before their eyes. Each small group of guests will experience 5 – 10 minutes of superb, interactive entertainment before the magician moves on to the next group. This type of performance can include reading minds, picking pockets and general magic. Peter is confident, polite and highly experienced in this type of performance and is careful not to impose himself on a group that may not be ready to enjoy some magic, so you can rest assured that your guests will not be rudely interrupted. So called because of it’s popularity in the parlours of Victorian high society, this form of presentation bridges the gap between close-up and cabaret magic. 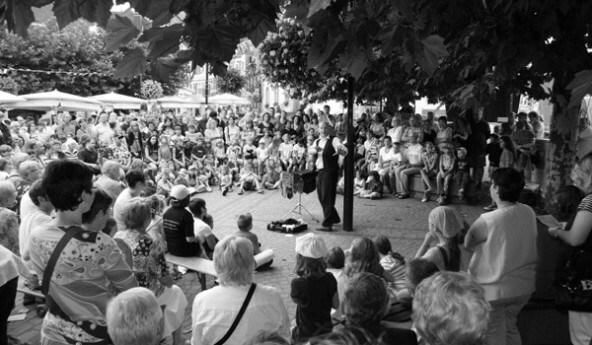 Effectively parlour magic is cabaret for a small number of guests, usually between 20 and 50, and is similar to a close-up show but is performed “stand-up”. Parlour is ideal as an after dinner performance when space is limited and sight lines may be a problem. The performance is still intimate enough to allow spectators to feel involved and is more relaxed in style than a full blown cabaret. Presentations last from 20 to 45 minutes depending on your requirements, and can be broken up and performed in between courses if you prefer. If you are looking for a sensational end to an evening then a Cabaret performance may be what you need. Excerpts from a 40 minute stand-up set for “Peter’s Friends” at The Tabacco Factory, Bristol. As one of the countries leading exponents of sleight of hand magic Peter has developed the skills that allow him to steal watches, wallets and other personal items in the context of great entertainment. Volunteers are treated with courtesy and respect while being “dipped” and of course all items are returned during the performance. Pickpocketing can be introduced as part of either a close-up or cabaret performance. Often called “beat the cheat” this is a fascinating insight into the world of scams, cons and cheats. A table or “bunco booth” is set-up and Peter will demonstrates how you could be relieved of your hard earned cash by devilishly clever, but totally dishonest means. You will see games such as “Find the Lady” and “Shell and Pea”, as well as learning some “prop bets” for yourself and hearing stories of real life con men from the past. Capturing the attention of your target audience at a Trade Show is difficult at the best of times and finding new and exciting ways of delivering your message is becoming more important. In an era of high-tech solutions the key can often be the human touch, and making a connection at a very human level. Bespoke presentations will increase the leads you generate at any trade show or exhibition and maximise your ROI. Peter can also pre-qualify audience members leaving your sales team free to focus on the most promising prospects. He will appeal to an audiences sense of curiosity and their desire to be entertained, while at the same time creating a unique experience that is built around your themes and messages. They will remember the experience and more importantly remember you. Peter is also available for inspiring key note speeches. Congratulations to Peter are especially in order, first because he is the only magician to win both the Stage and Close Up categories, and second because this was the best Stage Magician of the Year show I have seen to date. Peter, you were amazing, thanks for entertaining our guests. We would be happy to use you again. Thank you so much for working your magic at my party. You were a massive success, and have been quite a talking point ever since. Thank you so much for your brilliant performance on Saturday. I had lots of comments on the night about your astonishing cabaret performance. Absolutely fantastic. Peter has enthralled groups of mine who enjoy entertainment and those who usually don’t! He has an ability to measure an audience within moments and – alertly – communicate accordingly. His acts are full of magic and fun, clever audience participation and very fast wit. I have seen him joke and tease eminent medics in a totally non-humiliating way. Even amongst British reserve, no-one is left feeling awkward. By the end of one of Peter’s acts, the whole room is filled with laughter, surprise and a sense of fun. 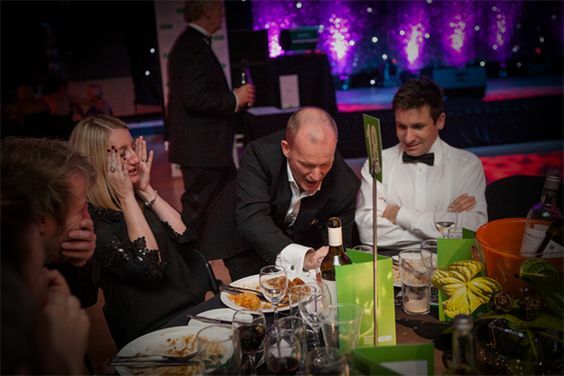 My personal belief is that no matter who one has in the audience and whatever the size of audience – from a handful to a few hundred – Peter Wardell is THE showman, THE magician, THE motivator and THE ultimate performer for any event. Don’t even hesitate – book him! Peter is a master at capturing people’s imagination and inspiring them to do something amazing within their businesses. Guaranteed to make you laugh, take your breath away and really get you thinking. It’s rare that I can sit still long enough to listen to another speaker. The problem with Pete is, he’s entertaining, incisive, and genuinely inspirational so I have to stay put. If you put a pinch of what he recommends into your next event you’ll improve it immeasurably. He’s fantastic at what he does.